The light brown stain of the wood frame of this stationary handcrafted bar stool contrast beautifully with the dark chocolate brown stain of the genuine cowhide seat. 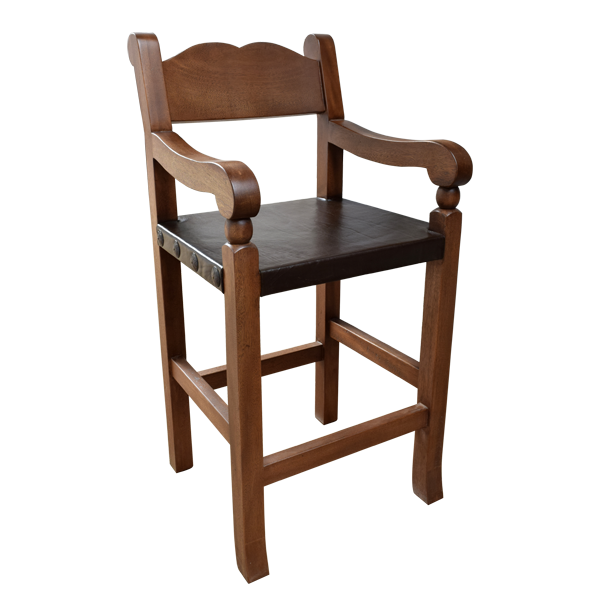 The simple curved lines of the colonial cut seat back and armrest and its long straight legs create a lovely Spanish colonial design. 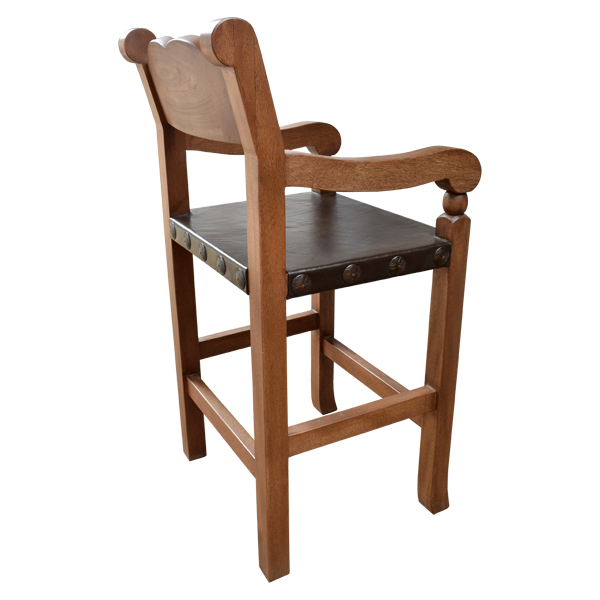 The armrest end in a wood turned ball, and the sides of the bar stool are decorated with hand forged iron nails made by our skilled craftsmen. 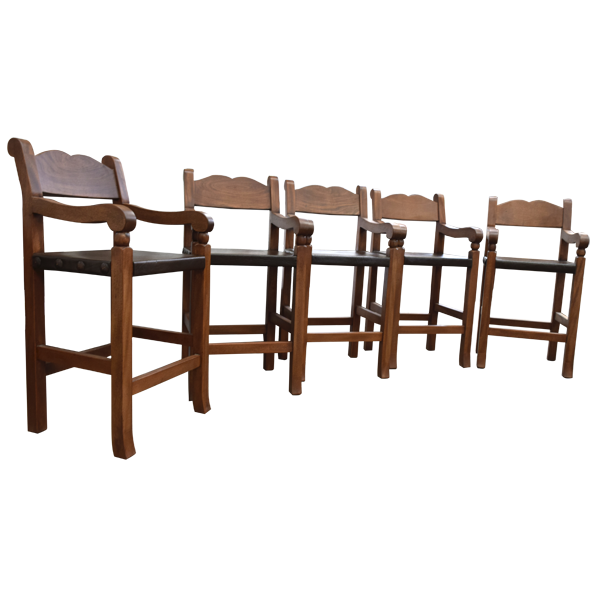 The bar stools rest on straight legs that gently curve at its base and the legs are joined together by two pair of crossbars at different level. 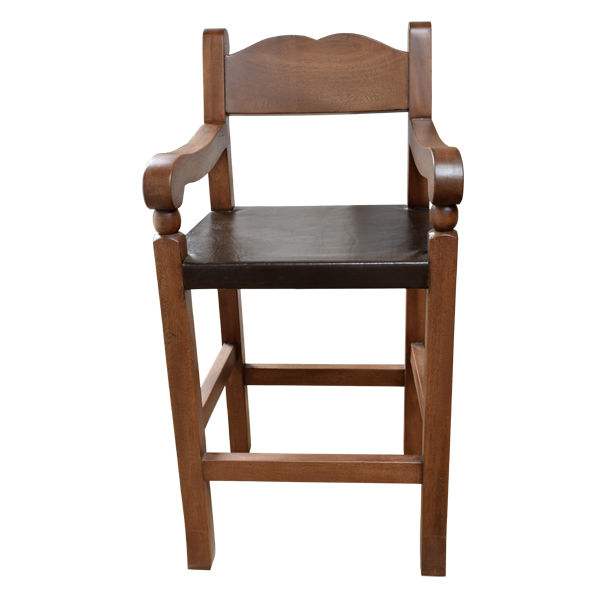 The stained genuine cowhide seat is carefully hand tacked to the wood frame. 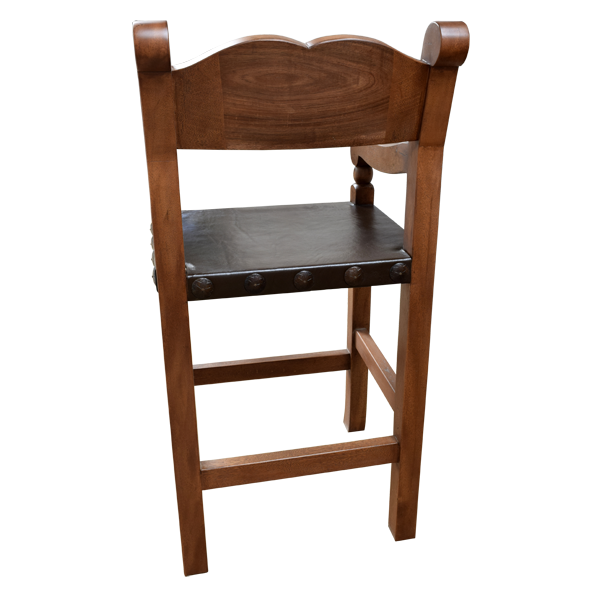 This bar stool is durable and comfortable and is made with the best wood available. It is 100% customizable.